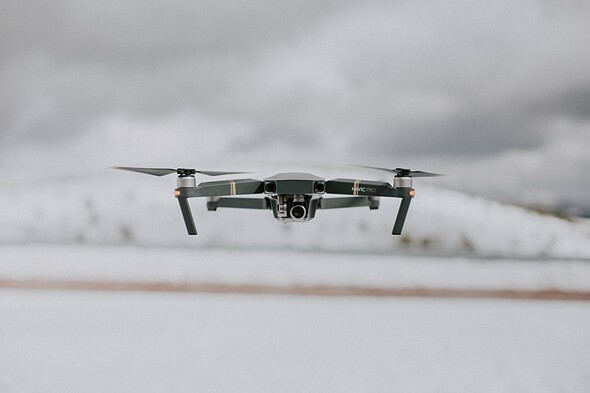 DJI has confirmed its drones are prepared for the GPS 2019 week rollover scheduled to take place on April 6. The event may disrupt some GPS receivers, but most manufacturers have confirmed that their systems have been tested ahead of time and are prepared for the rollover. The GPS 2019 week rollover is an event that will take place due to how the Global Positioning System (GPS) works. Receivers are provided with time information from the GPS system, which uses a 10-bit week counter to count weeks from 0 to 1023. Upon reaching the end of that range, the system reverts back to 0 and starts over. GPS receivers that aren't prepared for the rollover may incorrectly report a date of 19.6 years in the past (1024 weeks), resulting in some GPS devices displaying a date of August 22, 1999, starting after the April 6 rollover. The first GPS rollover took place on August 21, 1999. To avoid this complication, manufacturers must push out software updates to prepare their devices for the change. In a brief statement published on March 20, DJI said that all of its 'platforms have been thoroughly tested' and will not be impacted by the GPS rollover. DJI drone owners can continue to use the devices as normal. I recall around y2k! we calculated when Unix timer will roll over. I think year 2032 which seemed so far away back then. The Unix timer will roll over for the first time on Jan 19, 2038. Modern y2K bug,,,what a rort that was! hmm, is this related to all smartphones (they do have gps receivers aren't they) etc, too? There's no reason for a smartphone to be affected, as they have a built-in battery feeding a clock / calendar chip. A properly set calendar chip tells the smartphone the correct date — i.e. a smartphone, just like normal desktop PCs and Macs, doesn't need to receive GPS signals to know the current Year / Month / Day. Simpler devices, like old stand-alone GPS receivers, might not have a clock / calendar chip, and might rely on the 10-bit "week number" data in a GPS navigation message to determine the current Y/M/D. The 10-bit GPS week number counts the number of weeks elapsed since January 6, 1980 (the GPS week "epoch"). Since a 10-bit counter can only take 1024 distinct values, it must roll over after 1024 weeks — i.e. every 20 years or so. The first GPS week rollover occurred between Aug 21 and Aug 22 1999. The upcoming rollover between Apr 6 and Apr 7 will occur exactly 2048 weeks — i.e. 14336 days — after the GPS week epoch. Drones flying backwards through time are surely to cause a lot of uproar from the FAA. If regulations weren't tough enough as is. Why should any GPS device need an update? This was in the spec from day zero. Or should we check each morning if our watches mastered the hour rollover at midnight? I had a GPS system fail this rollover. It's NOT at the same time for every system, depending on the way the software works. Mine happened a few months ago, and it didn't handle it properly. Ok, but then this is a bug. There was no change to the GPS protocol. Yes it would depend on how they handle it. Computers rely on an internal counter to mark the passage of time. In order to derive date/time, they have the notion of a "time of epoch" which is a starting point upon which to add the counter, taking into account leap years and such. When the counter on the satellite rolls to zero, it would be interpreted as time of epoch, but any date could have been chosen for that on the receiving device. This is the date that will appear. I'm not sure why they picked a 10-bit number. There were a lot of decisions to be made and I'm sure they had good reason. Trivia: by the time the GPS satellites were created, Einstein's notion of time dilation was already proven to be real. But the GPS designers were split over whether or not they would need to account for it in the timing. As a compromise, they included a software switch, with time dilation correction switched off at launch. Within a few days, the clocks were off, and they had to turn it on. This is a good reminder to check my Canon GPS-E2 module. It probably needs an update. I'm guessing cameras with built-in GPS will need an update too. Sounded just like Y2K. How many readers are old enough to remember that? And then there's the Y2.038K problem coming up in 2038. If not all Unix-like OS then use signed 64 bit for time_t. As most already do today. falconeys - "I am born 847"
Would that be AD or BC ? ... and I thought I was ancient! Why signed 64bit? Does UNIX support negative time? My Comp Sci professor would fail anyone using a signed value for objects that never go negative. "Why signed 64bit? Does UNIX support negative time?" Yes. The value is a number of seconds since 00:00 Jan 1 1970 UTC, so a negative value would mean a number of seconds before that point. I remember fine Apple2 Technote in 90's : "Please call us back in 2038 for a clock driver patch !". After months of delays, the U.S. Air Force is about to launch the first of 32 new generation GPS III satellites, designed to be more accurate, secure and versatile. The new satellites are expected to provide location information that's three times more accurate than the current satellites. But, some of their most highly touted features will not be fully available until 2022 or later because of problems in a companion program. GPS III satellites will have a stronger military signal that's harder to jam. GPS III also will provide a new civilian signal compatible with other countries' navigation satellites, such as the European Union's Galileo system. That means civilian receivers capable of receiving the new signal will have more satellites to lock in on, improving accuracy. The new civilian frequency won't be available at all until the new control system is ready.